Computers are ubiquitous throughout all life-cycle stages of engineering, from conceptual design to manufacturing maintenance, repair and replacement. It is essential for all engineers to be aware of the knowledge behind computer-based tools and techniques they are likely to encounter. The computational technology, which allows engineers to carry out design, modelling, visualisation, manufacturing, construction and management of products and infrastructure is known as Computer-Aided Engineering (CAE). 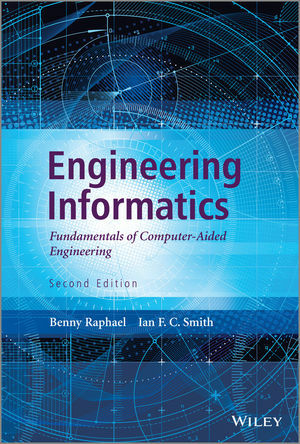 Engineering Informatics: Fundamentals of Computer-Aided Engineering, 2nd Edition provides the foundation knowledge of computing that is essential for all engineers. This knowledge is independent of hardware and software characteristics and thus, it is expected to remain valid throughout an engineering career. This Second Edition is enhanced with treatment of new areas such as network science and the computational complexity of distributed systems. Offers many practical engineering examples and exercises, with lecture notes available for many of the topics/chapters from the ASCE Technical Council on Computing and Information Technology, Global Centre of Excellence in Computing (www.asceglobalcenter.org), providing a valuable resource for lecturers. Engineering Informatics: Fundamentals of Computer-Aided Engineering, 2nd Edition provides essential knowledge on computing theory in engineering contexts for students, researchers and practising engineers.